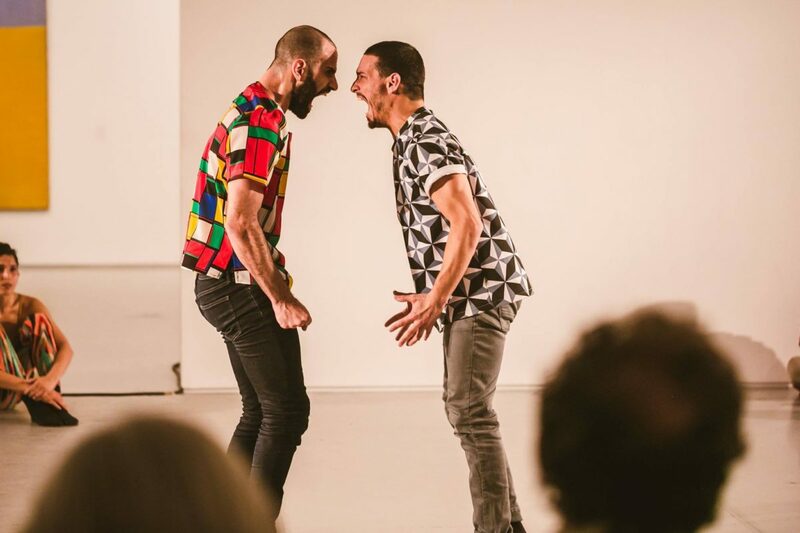 Idan Sharabi & Dancers Intensive is a week long workshop taught by Idan Sharabi, followed by a showing in which the workshop participants are invited to perform. Idan’s workshop un-choreographs the body to find new relationships to time and space and searches for new moments that question reality. The showing, at 8:00 pm on September 12, includes Idan Sharabi’s work by Troy Ogilvie, Alanna Morris-Van Tassel, Idan Sharabi, as well as workshop participants. Idan Sharabi was born in Israel, 1984. He graduated Thelma Yellin and The Juilliard School before he danced in Netherlands Dans Theater and Batsheva Dance Company. He was chosen to create for NDT Upcoming Choreographers 10′ and has won The Zeraspe Award 06′, Copenhagen International Choreography Competition 2012 & 2014, The Mahol Shalem International Competition 13′, and The Hannover International Choreography Competition 2014. Idan received the PAIS grant for performances of existing shows in 2015 for Interviews/Makom, Minister of Culture Prize for Best Performance of 2015, Balletmester Albert Gaubiers og Poul Waldorffs Fond scholarship in Denmark, and received Dododotan Best Performance 2014 for “We Men” as a performer. Between 2011­ and 2014 he created for companies: “TheProject” of The Israeli Opera House, KCDC, The Israel Ballet, Ballet Junior de Geneve, NND, ZDT, and EBBC Madrid. In 2012, Sharabi was chosen to be one of the nine promising young artists of Israel by American Express and founded his group, Idan Sharabi & Dancers, in September 2012 . Since then, he has created several works for the group which were invited to festivals in Sweden, Denmark, Canada, Italy, Holland, Russia & Israel. Throughout the years, Sharabi has been teaching and creating with students/young dancers in schools & companies such as Contemporary Dance School Hamburg, Gothenburg Ballet Academy, Alvin Ailey School, The Italian Dance Alliance, Springboard Dance Montreal, The Maslool Dance Program, The Sadna in Ga’aton, Israel, Ballet Junior De Geneve, Zhukov Dance Theater SF and more. His 2014/15 residencies included companies such as DDT, Royal Danish Ballet, Ballet Chilleno, NDT II, and he will premiere an original work in March 2016 with Ballet Luzern. Sharabi has been supported by American Express TYP Project, Israel Ministry of Culture, The Israel Festival, Suzanne Dellal, Bikurey Ha’Itim, The AICF, The Israeli Opera House, The Juilliard School Donors and a donor of The Dance Library of Israel Organization. Photo by Barak Aharon Photography.